Some say I have done a lot. I see that I’ve done too little. What have I done? I would say that I’ve done a lot, if I could put the entire world in order and make everybody happy. Now people fight and I sit and speak to myself: I’ve done too little – I didn’t manage to persuade these people not to fight. There are so many judges, convicting innocent people. And I say: I never taught them these laws. Many lawyers advocate injustice. There are many brothers and sisters who do not love each other. I failed to teach them to love. How much work is there for me to do! I am often asked: “Do you preach something, which is in accordance with the church?“ I reply: “I preach things, which are in conformity with the great Divine law; I don’t lie in the face of God; for me it does not matter if my teaching conforms to your views. For me, it is important that my views are in accordance with the great law, that I don’t lie in the face of God, of Heaven, of the Angels and Saints – this is what matters to me. If everybody understands the teaching in this way and think along these lines, there is nothing to be scared about. Some say: “You want to form a sect “. Those who establish sects are, according to me, very petty people. Everybody can form a sect – take an axe and chop a tree – you’ll make a sect, or take a hammer and break a stone – you’ll make a sect. Sects are easy to make. In an American sect there was a quarrel over an issue –in the consecration of the Eucharist, is the glass supposed to be raised; however those who maintained that the glass was supposed to be raised, forgot to raise it. We often forget what we are preaching and the principle, which unites us. Our objective is to establish the Kingdom of God on Earth. I want to form a sect, but what sect that is? To be conductors of God’s law, which would overwhelm all minds and hearts, so that everybody – men, women, children – become sons of the Kingdom of God and start living here on Earth, the lives they should. And where’s the power of a prophecy? I believe the power of a prophecy is in the accuracy of facts. A call true and accurate that prophecy, which brings light into human mind. Everything which brings light is true. Master’s own sister was about ten years older than him. After she was 18, her father got her engaged to a rich man’s son, whom she did not love. She had another sweetheart, but her father said that he had the final word. The engagement party came and talked to the priest and the prospect bride in one of the rooms. At one point she got very sad and she went to the other room, where her younger brother – the Master – was doing his homework. She threw herself on the bed crying. He asked her what was wrong. His sister did not reply, because she thought that he was just a child and could understand nothing of her problems. She was to return to the engagement party, so she wiped her face and went out to go to the other room, across the corridor. In that corridor strings of maze were hanging and when she passed through them, one string broke and fell to the ground, behind her back. She started collecting the scattered cobs, and at the same time the Master appeared at the door and said softly: “Don’t worry sis! As all these corncobs scattered, so will your things dissipate.“ She paid no attention to his words, but thought: “How does he know what is going on with me and why does he say it’s all going to end?“ But on the very next day, the one she loved arrived from Romania and she fled with him. Thus the engagement was dissolved and the words of the Master came true. While still a child in the Nikolaevka village, the Master used to forecast the weather. When, before threshing the villagers wondered was the weather going to be fine, many of them said: “Priest’s son said …“ Peter’s forecasts always proved to be true. Brother D.S. remembers: “We were camping in Vitosha with the Master and he proposed that we did something like a lottery – everyone was to draw a ticket, which the Master was to use for telling that person’s life and future. I gave my ticket and he said: „Hold on to music, don’t abandon it“. I wondered why the Master spoke to me that way. At that time I was the director of a large company and I was making good money. But it so happened later that I had to leave the company and live on music. Then I understood Master’s words. In that “game“, when a sister handed her ticket to the Master, he said: “In this life, you’ll depend on yourself“. She was surprised for she had a husband, who was taking care of her. However, after some time, her husband died and she remained alone. While still a high-school student, E.N. was passing once near the fence of Izgrev and he saw the Master trimming the trees with scissors. The Master asked him from the yard: “Can you trim and cut trees with scissors?“ E.N. didn’t know the Master at that time, but he replied: “I know nothing of these things!“ Then the Master told him: “You will be a good gardener, you’ll be able to trim really well“. The boy just smiled. Years passed after that, and when he started working with literature and critique, he understood what the Master meant in his prophecy. Brother D.S. recalls that when he went to Paris to find a job, he was a part of a Russian music band. They couldn’t find an engagement for quite some time, and he started to get despaired. He wrote to his wife to ask the Master, if he should return to Bulgaria. The Master instructed a reply to be sent that he should stay there, for a man was to lend him a hand and everything would be fine. The brother listened to that advice and was soon engaged, together with the entire band, to play in a resort, where the pay was very good. This happened after that brother accidentally met a person from that resort, who helped him. The Master was visiting a friend of hours in a village. The brother asked him to foretell something. Then the Master said: “Next year on this date, don’t leave your home! If you get out something bad will happen.“ The next year, on the same day, it started raining heavily and the house of that brother started leaking. He had to climb up on the roof to fix what he could, but once there he slipped, fell and broke his leg. Then he remembered Master’s warning. Verka, brother Georgi Kurtev’s daughter, recalls the following: “When I was four, I got very ill. My mother had prepared the clothes for my departure. At that time the Master arrived in Aytos, but, since there was a sick person at our home, they lodged him with sister Gabrovska, who lived near-by. My father met the Master, but didn’t say that I was very ill. After some time the Master asked how the child was. My father replied: “The child is very ill, but we’ve left it in the hands of God, so that God’s will can prevail!“ Then the Master told him: “Now, when you get back home, the child will be at the window, it will knock as soon as you reach the entrance door, and say to you: “Daddy, I am alive, healthy and feeling well!“ When he heard that, my father immediately left and ran towards our home. And indeed I was standing by the windows, knocked on the glass and shouted: „Daddy, I am alive, healthy and feeling well!“ My father went right away to the Master and confirmed that everything happened exactly as he said. Sister Maria M. recounts that her grandmother had six children, one of which was Maria’s mother. One of the elder daughters of the grandmother got ill and, after Dr. Mirkovich wasn’t able to heal her, he made the following proposal: “I have a friend in Sofia, I must call him, he will heal her“. So they asked the Master to come and he arrived. He ordered everybody out of the room, except for himself, the sick woman and her mother. The mother later recalled that the Master performed various motions over the sick, and she felt better, and after about ten days her health recovered completely. She lived 45 more years. After the treatment Maria’s grandmother called up her other daughters to meet the Master – a holy man, according to her. Everybody kissed his hands and Maria’s mother only shook hands and said her name, as is the custom when officially meeting someone. She was a social woman. The Master looked at her several times and said: “Two years from now your life will change radically”. After two years her husband died, and she fell into deep melancholy, which continued a long time. She became interested in the teaching turned into a devoted adherent to the Master. A brother was in Sofia on business and went to see the Master, before going back to the country. They met just before brother’s train left, and thus, while talking to the Master, he often looked at his watch. The Master reassured him: “Don’t hurry, you’ve got time!“ But the brother saw that he had not a minute left, or he was going to miss the train. The Master just repeated: “Don’t hurry, you still have time!“ The brother was about two hours late and was sure that he had missed the train. Nevertheless, after saying goodbye to the Master he went to the station. When he got to the platform, he saw that his train was getting ready to leave. He was the last man to get on it. There was some kind of a delay. Sister Ilarionova tells the story about a trip from Tarnovo to the Preobrazhenski Monastery: “At a clearing near the monastery, my husband Kostadin wanted to separate from the others with the kids on a shortcut path. The Master strongly advised him not to do that, and to me – he directly ordered: “Elenka, you walk with us!“ But Kostadin and the kids just laughed and started along that path, and we – back on the path, on which the Master lead us. We reached the Monastery before Kostadin, waited there for some time, but they didn’t come. The parents of the children were worried, because the monks said that those shortcuts to the monastery were very dangerous – there were deep gorges. Then we all went out to look for them, but nobody replied our calls. At one place, beneath the rocks, we found the provisions they were carrying. Then the Master took with him two of the brothers, went away from us and approached a rock. The Master pointed somewhere deep down: “They are there!“ One of the monks – a good climber – started towards that place with several students from a high school in Sofia, who were also visiting the monastery. They found them in a low place, clamped motionless near the rocks – they had reached a place, from which they could not find an exit. One year some brothers and sisters started down from the Rila mountain, but the weather was really bad – gloomy and cloudy. It was about to start raining. They said their goodbyes to the Master, without showing their concern about the bad weather. However he calmed them down: “Don’t worry about the weather. Not a single drop will fall on you. When you get on the bus, then the heavy rain will start pouring down.“ And indeed – they managed to reach the bus without any problems, and once they were on it, it started raining heavily. Georgi Popov, a former student from the village of Gorska Polyana, Elhovo Region, told us this story: “At a council in Tarnovo, the Master was holding a speech at the community center. It was attended by brothers, sisters, citizens and priests from the city. After the speech one of the priests stood up and addressed the public: “Today at two p.m. here in the hall, there will be a public dispute between archimandrite …….. and Mr. Deunov“. The Master spoke after him: “Today at two p.m. there will be no dispute here, because whoever exits this hall, won’t be able to enter it after that, and whoever stays here, won’t be able to go out!“ Then he got down from the platform and left the hall, followed by all the brothers and sisters. The brothers were camping near the vineyards of Tarnovo. The weather was fine – hot, clear, without a single cloud, what it is usually like in the middle of August. The master ordered them to tighten the tents and dig ditches around them, for it was going to rain. The Brothers looked at the cloudless sky, wondered, but still, although formally, they somewhat tightened the tents. At about one p.m. small white clouds appeared at the horizon. They started growing, then got darker and covered the whole sky. Then there was such a torrential rain that all streets of Tarnovo turned into rivers. This continued until four p.m. Of course there was no dispute that afternoon. About seventy people attended the council in 1912. Brother B. Boev was also there. The council continued for three days and, when everybody said their goodbyes to the Master, he advised them: “When you go home, the first thing to do is to buy yourselves wood and flour!“ He kept saying that and the brothers, puzzled, asked him: “Why, Master, is there going to be a war?“ The Master replied: “Yes, there will be war. All of you will go to the front and all of you will come back.“ The war was declared the next month, and nobody expected such a thing. Only the Master warned them in due time. All the brothers from the council, who took part in the war, returned alive and in good health. When they were leaving the Master advised them to carry with them a transcript of the Good Prayer and Psalm 91 (90). Before the great earthquake in Tarnovo, the Master was visited in Tarnovo by a sister, who told him, she wanted to stay for a few days in Sofia. As soon as he saw her, the Master insisted: “You must return to Tarnovo immediately!“ She asked him to stay, but the Master was adamant. She obeyed and left. The earthquake happened soon after she got back to Tarnovo, and when she arrived at her home, she found a letter by the Master. In included a detailed description of the earthquake, which part of the city was going to be affected most severely, how many victims will be there. Nature is reasonable, conscious and alive, and I have no right to reveal its secrets, conferred on me, and give the keys to people who will rob her. I’ll only say what it allows me to, and I’ll not say anything I’m not allowed to. Nature only gives its keys to those, who have known their unity with her and are ready to serve for good. Outside the physical world, there’s another sensate world that takes part in everything people do. So you sometimes loose heart, thinking that nobody is taking care of you, that you are abandoned like a ship in space and must take care for yourselves alone. No, this ain’t true. This is a delusion. One summer the Master was at the Seven Rila Lakes, and I went there and showed him a picture, which I had received from Riga. It showed the fifty people in P. Pamporov’s course, among whom my pen-friend was marked by ¹13. I asked him to tell me something about her personality. He said: “She has one thought, one desire, which she didn’t manage to achieve when she was young, and now she wants to achieve that“. He said no more about her, but focused on the girl, marked by ¹ 12: “She is a descendant of an ancient family, existing for 1000 years“ – and started describing her positive spiritual qualities. I once again directed his attention to ¹ 13 – my pen-friend. He said also: “She has certain feelings and desires of youth, which she couldn’t fulfill when she was young, and wants to achieve them now“. He once again turned to ¹ 12 and continued to describe her nature in detail. I tried to direct his attention for a third time to my friend, but then the Master left me and went away, without saying another word. I was left embarrassed, feeling like somebody who isn’t understood. Later that sister came to Bulgaria, and with her – the girls from the picture – ¹ 11 and ¹ 12. My pen-friend returned to Latvia disappointed and the work, we had started stopped for good, just like the Master had said. The other two continued their work, as the girl, which was marked ¹ 12 on the picture – Amelia Vailand, became the leader of the Brotherhood in Riga. In 1905 the Master was reading a lecture in phrenology in Tarnovo. It was attended by sister Elena Ilarionova: “Community center’s hall was crowded. 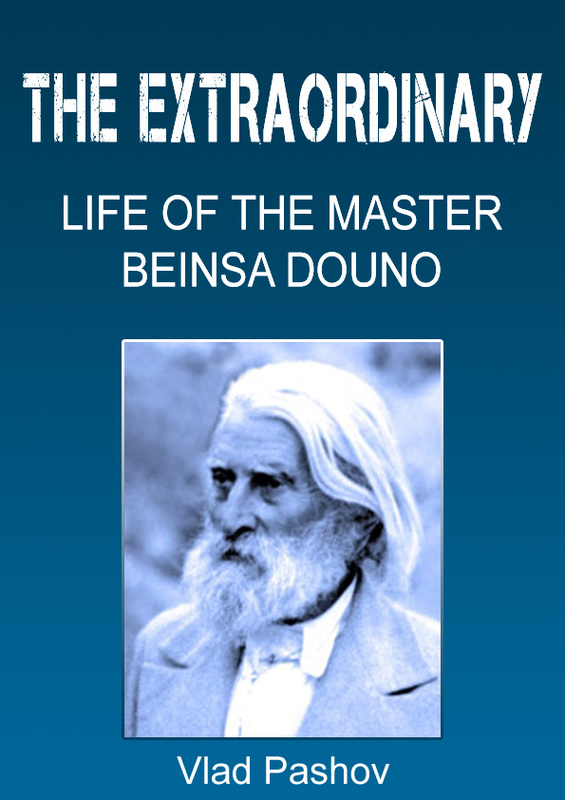 Using a number of examples, the Master was proving that with his life, man builds a future, collects capital for the construction of his body and may give it a form, according to his thoughts and inner spiritual aspirations. Therefore the life of each person, and his temper, can be determined based on his outer appearance. Everybody was listening carefully. After the lecture, only Dr. Georgieve tried to question Master’s statements, but then completely gave up after Master’s replies. Then I understood that the Master had presented a great truth, which until then had been unknown to me and to the others. I wanted to thank him, but in that gathering of so many people, I wasn’t able to meet him. A brother was telling me that he had written an article, mentioning Napoleon. In his article the brother wrote about him that he was a criminal, and not a genius. Once on the lawn, near Izgrev, the Master met him and asked: “What do you think about Napoleon – is he a criminal or a genius?“ The brother replied that he considered Napoleon a criminal. Then the Master told him that Napoleon was not a criminal, but a disciple of the White Brotherhood, sent in Europe to tear the feudalism. In this respect he fulfilled his mission, but made a mistake, when he declared war on Russia. The master also told the brother that Napoleon had an astrologist, who guided him and that when he declared war on Russia, the astrologist just disappeared. Napoleon hesitated for a long time, but then he started the campaign against Russia. When the English confined him at the “St. Helen” island, Napoleon told them that it wasn’t the English who were going to judge him, but his ancestors. A young man fell in love with a poor and beautiful girl. He loved her vary much and she loved him. They were about to marry, but that man’s elder brother said that he did not allow the marriage, because the young couple were both poor. He had to find a girl from a rich family. The young man was with split mind. He loved the girl, but was tempted by the possibility to merry a rich girl, so that he lived an easier life. He wasn’t able to decide which path to choose. The young man knew a sister of ours, with whom he shared his concerns. She said: “Come with me, I’ll take you to a lecture of the Master and while he is talking, I will ask him your question in my mind “. So they did. While the Master was speaking, at one point he looked at the young man and the sister and said: “A young man loves a poor girl, but under somebody else’s influence he is hesitating whether to marry her, because he is offered a richer girl. But he loves the first girl and is now with split mind. Whoever plays with the one he loves, will suffer himself.“ After that the Master continued his lecture. The young man heard these words, but didn’t pay attention to them. He left the poor girl and married a rich one. Throughout his life she was always sick, constantly went to doctors, and the children were also delicate. So that man didn’t have a single good day in the rest of his life. There are a lot of things that can be said to people, but this is dangerous. No matter how dangerous it is, they must know that it’s not only their current body, in which they can move. Everyone has another body, in which he can go out of his physical body and walk in space. This has been verified by everybody. How many times did you dream of going out in the evening and fly around! You see your body lying on the bed, and you are flying in space in a different body. With what eyes do you see that your body is lying on the bed, and at the same time you are flying in the air? In what body do you fly? We feel these things with our spiritual bodies. When I say that some things cannot happen easily, I mean the physical body of man. In the physical body of man, things cannot happen easily, but in the spiritual body, many things, considered impossible, happen immediately. The impossible things happen to spiritual bodies, which are strong. The Master himself was telling us that the students in America worked what not, so that they earn their living. Once, when he received some money after work, he bought himself a new suit. While he was walking in it on the street, he met a shabby and poor man. The Master stopped him, fed him well and gave him his new suit. A sister was in a hard spiritual condition, due to insolvable personal issues, he faced unsurpassable obstacles and contradictions in herself. In this state she went to the lawn at the Izgrev and sat beneath the shed. It was late in the evening. She was feeling abandoned and lonely, and she was suffering that nobody was thinking about her and nobody was expressing any sympathy. She spent more than an hour and a half crying and in deep sorrow. About 11 p.m. at the fountain with the zodiac, which was at the entrance of the lawn, she saw an electric flashlight. The sister recognized Master’s flashlight, due to the way it spread its light, but didn’t even think that he might be coming to her. She was surprised when the light headed directly towards her and saw that the Master had come. He approached her, directed his light towards her, and without speaking a single word, he went away. Then her state changed and she rebuked herself of her delusion that nobody was thinking of her. She realized that the Master saw people’s sufferings and helped everybody. The master was able to see the needs of all creatures and often, through invisible ways, he helped, without them even realizing that. The Master took me down to the dining room, woke the sisters up, and asked them to make me some tea, so that I can warm up a bit. It was Sunday, and there was a lecture at 10 a.m. After that I stayed to have lunch with the Master, where about twenty friends gathered. His table was always full of guests. In the evening once again there were many people there, who left at about 9 p.m. The Master went to his room, and I stayed to sleep on a couch in basement. In the kitchen, an old sister was washing the dishes from the dinner and humming a melody from Master’s “Idyll”. I sat on a small stool by the stove, took in my hand the coal spade and the poker and imagined that I was playing the violin. I told the sister: “If I had a violin, I would play you what you’re singing“. At that time I heard steps from Master’s room and he started going down the stairs. I realized that he may come to the kitchen, so I threw the spade and the poker in the coal bucket, so that he doesn’t see me with them in my hands. He stood at the door, and without entering looked at my hands and asked: “Do you want a violin?“ I couldn’t breathe of excitement, but sister Yanakieva told him: “He was holding the spade and the poker and imagining that he was playing“. The Master said: “Sister, come with me so that I give you a violin, and you can give it to this brother to play“. She went up with the Master and brought me a violin. A man went to America, leaving his wife and child in Bulgaria. There he married another woman and didn’t want to come back to his homeland. His wife in Bulgaria wrote him, implored him to come back, but he didn’t even write back. She heard about the Master and went to him to ask him what to do. He listened to her and said: “Don’t worry, your husband is coming back“. From that day the Bulgarian in America started to be visited by an old man with beard, long hair, fine clothes and he tried to persuade him insistently: “Your wife and kid in Bulgaria are waiting for you, you must go back!“ At first the man persisted, but the old man went to him and repeated the same thing with ever increasing persistence. At last the man decided to go back home. He bought himself a ticket for the steamboat and when he got on board, he met there the old man, who persuaded him to go back to his country. Throughout their trip the old man continued to remind him that his wife and child were waiting for him in his country. When they crossed the Bulgarian border, the old man disappeared and the man never saw him again. When he went home, he told all this to his wife. By his description, she guessed that the old man must have been the Master. One Sunday she asked her husband to go for a walk with her in the pinewoods near Sofia. She gradually brought him to Izgrev. They entered the yard in front of the hall and saw the Master. The husband exclaimed: “This is the man, who made me come home!“ She told that to the Master, and the man asked: “Wasn’t you in America, wasn’t you who made me come home?“ The Master calmly replied: “I was in America a long time ago. I haven’t left Sofia for many years.“ On their way back from Izgrev, the wife explained that the great consecrated ones have the ability to be at the same time at different locations around the world and even beyond that. A poor woman with several kids and without a job was very careworn and, for she seemed not to be able to find any solution to her situation, she decided to drink some caustic soda, so she died and got rid of all her troubles. She poured the poison in a cup and was just preparing to drink it, when a man entered the room and came to her, took the cup from her hand and asked: “What are you doing! Why do you want to die?“ She answered that she didn’t have a job she had no money or means to feed her children, she was completely desperate and that is why she had decided to put an end to her life. The man said: “Your things will get better and your situation will improve immensely“. And indeed, after that mysterious meeting, she found a job and was saved. One day she came to Izgrev and saw the Master. She immediately realized that this was the man who saved her. Sister Kuna P. Hristova remembers a conversation with the Master: “One day, when I was in Sofia, I lodged in the city, and woke up early in the morning to go to Izgrev for the lectures. When he heard of my morning fears, the Master said: “Don’t be afraid, when you come from the city to Izgrev, walk along the middle of the road!“ And he added: “Always, when there are lectures, I watch over the road so that there is no danger for those, who are coming“. Once, when the Master was with the Brother¬¬hood on an excursion in Rila, our friends had the following experience: as always in the mountains, in the evenings they lighted great fires, sang songs, and sometimes the Master had a speech. The Master was sitting between two brothers, he was warming up at the fire and listening to the songs. He suddenly dropped his head to one side, as if he was sleeping. Everybody saw that and was very surprised. One brother looked at what time it was – it was ten in the evening. Three minutes later the Master raised his head and everybody sighed with relief, for they knew that nothing bad has happened to him. They started singing once again, the Master continued talking as if nothing happened. No one dared to ask about what had happened, but no one was able to understand that either. The next day, at about ten-thirty a.m., a group of 16 brothers and sisters came, who had started the previous evening from Dupnitsa. Somebody showed them a new, shorter path to the lakes, but while they were on that path, it got dark, they got confused and lost they way. After walking about in a deadlock, finally a brother proposed that they stopped and prayed to the Master to help them somehow to find their way again. Everyone agreed, so they stopped and started reading a prayer, directing their thoughts intensely towards the Master, and asking him for help. Right after the prayer they saw a light in the darkness and clearly saw there the Master, who pointed with his finger in which direction they should go. They started in that direction and found their way, and finally got to the camp. When they saw the light someone looked at his watch and saw that it was ten o’clock. It was the time when the Master fell asleep at the camp fire. In Izgrev a sister told the Master that she was going to the Vitosha Mountain, so that she can be alone in contemplation of nature and think. She got to the Black Summit /Bulgarian: Черни връх/, but on her way back, a thick fog fell on the mountain and she lost her way in the woods. She wandered here and there and got even more confused. She decided to ask the Master to show her the way. She prayed and suddenly she saw the Master in front of her. She was very happy and asked him where did he come from and how he managed to find her. He led her through the fog in the woods, took her to the right path, showed her the direction, which she was to follow. AS soon as the Master came to her, she kissed his hand, which shows that he was not an apparition, but he was materialized. The sister thought that the Master was walking with her all the way back. But to her surprise, soon after that he disappeared. When she got back to the Izgrev, she went to the Master and told him about her experience. He smiled and said: “Every time you find yourselves in trouble, call me through a prayer and I will help you“. There are many examples like this in Master’s life. With a group of brothers and sisters, the Master was visiting a sister in Izgrev. While they were talking and drinking tea, the Master suddenly, without letting go of his cup of tea, closed his eyes for a minute or two and seemed asleep. After he opened his eyes, he said: “I showed the way to a sheep astray in the ocean“. A brother, an engine driver, fell asleep, while he was driving his train. Suddenly the scream of the engine-whistle woke him up and saw the Master letting go of whistle’s lever, and the train was approaching the next station. He opened his mouth to talk to the Master, but the Master was gone. A brother from Sofia was feeling extreme sorrow and internal struggle, due to unsolved issues of his. He went to the Vitosha Mountain, near the Dragalevtsi Monastery to cry alone and through prayer and though to try to find a way to overcome the difficulties he was in. He went away from people, thinking that they do not understand him. However, after a while he suddenly saw that the Master was coming to him. He was startled and asked: “Master, how did you find me? I hid here, away from people, to try to deal with my problems.“ The Master said: “This is a problem, which you must solve yourself“. And then added: “At such and such a time, what happened to you – I’ve made it happen, and it was again a task for you“. He reminded him a number of problems in his earlier life, which had to be solved, and said that him, the Master, had made these things happen. “One year, I was visiting the Master with two of my children” – recalls another brother. – “At that time my elder son was a soldier in Ruse. When we were saying our goodbyes, he said to me: “You are not going back to your village, but go directly to Ruse. There you will ask your boy to be transferred to another place.“ At first I persisted and refused to go, telling the Master: “How am I going to Ruse with my wife and two small kids?“ Be he repeated sternly and explicitly that I must go at once. He also told me that there I should go and find brother Georgi Dimitrov, who was going to help me. I listened to Master’s words and went to Ruse with my wife and kids. This happened before September 9, 1944 /the date on which the Bulgarian Communist Party, assumed power assisted by the Soviet Union/. After September 9 that brother, the colonel, fell into disgrace and a military court sentenced him to death. Then brother Rusi and Ivan spoke up for him, saying that he helped, when Ivan was accused of underground doings. They managed to ensure a life sentence for the colonel. And some time later he was pardoned and released. This is how the Master saved two lives. In 1942 one evening in the lodging of an in Izgrev took place an underground meeting of communists. After the meeting was over and everybody went home, the minutes and records remained in the brother. The Brother went to sleep, but he had hardly fallen to sleep, when he started dreaming that the Master came to him, prodded him and said: “Get up quickly and burn those papers!“ The Brother did not pay any attention to that dream. He went to sleep once again and again saw the Master coming, shaking him up and sternly ordering him: “Get up right now, didn’t I tell you to burn these papers!“ The Brother once again attributed what he saw to his fears and again did nothing. He fell asleep one more time. The Master came a third time, prodded him so hard that the brother felt pain, and ordered him in a very rigorous tone: “Get up now! I told you: burn these papers!“ Then the brother got up, gathered all the sheets with the minutes and records, put them in the stove and burned them. As soon as he finished doing that and was about to return to bed, he heard heavy knocks on the door, and noise and voices on the outside. It was the police. They entered and said that they’d been informed of an underground meeting and were there for a house search. They turned the entire house upside-down, they even threatened him to tell them about the meeting and to give the minutes and records, but since they found no trace at all, they went away. This is how his life was saved. “In 1926 the council took place in Sofia” – recalls Peter St. Kamburov. – “The master went on an excursion with the brotherhood to the Musala Peak. I was in Sofia with my brother Marin and we were working with the horses and the cart. Due to the great flood there, the all the carters were in distress and we were all very indebted. Marin decided to go with the group to Musala. I called the Master and told him that I wanted to go with them as well. He ordered me: “No, you’re not coming with us, you must stay here!“ A bit later I asked him again, but the Master repeated: “No, you must stay here!“ I tried for a third time, and he told me: “You will stay to guard the lodging at 66, Opalchenska str.”. When I went there for a fourth time to ask him, I suddenly felt pain in my left foot, and it swelled. The Master took out an overshoe and gave it tom me. I took off my shoe, bound my foot and put on the overshoe. Before September 9, 1944 Professor Stefan Konsulov was mobilized and sent with a military regiment to Aegean Thrace. After the events on the ninth of September he was getting ready to leave with his regiment for Bulgaria and gave an order for preparation for departure on the next day. When he went to bed in the evening, while still awake, he heard a voice, and there was nobody around. The voice said: “Get up and leave for Bulgaria now!“ Puzzled, he got up, looked all around the room – to check if there wasn’t some kind of a mystification, but couldn’t find anything. He was deeply worried, but still didn’t want to listen to the unknown voice, so he went back to bed. He had barely turned the light off, and the same voice told him even more rigorously to get up and leave for Bulgaria. This time he decided to listen to that voice, got dressed, got out, found his driver and ordered him to get the car ready, for they were leaving immediately for Sofia. He told the first sergeant that he was leaving immediately, and the regiment was to depart at 8 the next morning, as ordered. Soon after Konsulov’s departure, people’s military units came to arrest him, but they couldn’t find him. The next day the military regiment departed towards Sofia and, when they arrived, the first sergeant found Konsulov and told him what had happened after his departure. This is how the Master changed the events and saved his life. This event helped the spiritual awakening of the Professor and he started thinking on the matters, which he denied before. From a convinced materialist he became a zealous spiritualist. Konsulov wrote a book, in which based on scientific facts, he proved the existence of the invisible world. As far as I remember, its name was “Science and Religion“. During the bombings in 1943 a brother was an observer at the meteorological station in Sofia. He was very strict about the performance of his duties, and when he had to make the observations, he didn’t pay any attention to the air-raid warnings and didn’t switch the lights off. The Germans noticed that there was light there during air-raid warnings and they assumed this to be a signal for the enemies. The arrested him and were about to shoot him down. At that moment a Bulgarian major ran and stood between the Germans and Ignat – this was the name of the brother – observer. The Major told them that there were Bulgarian courts which would put him to trial, and took him to a precinct. The Brother explained that he wasn’t giving any signals but was just during his job and they set him. At that time the Master was in Marchaevo and at precisely that time, he started asking where brother Ignat was and what he was doing. For ten minutes he kept talking only about him and directed everybody’s thoughts towards the brother meteorologist. Brother Petko Hristov from Shumen was with labor service men in the Shumen region, and after work, they had to spend the night in some village. All the soldiers and officers found where to spend the night, only for him there was no lodging. He went to the nearby forest to pray. It was winter. During the prayer, the Master appeared in front of him and told him in which house to go and spend the night, for he would be accepted there. He went to that house, and indeed he was welcomed kindly there, as a long-awaited guest. A sister was often recalling what she had experienced: “My father was in Turkey, in Asia Minor, at a hospital. The Master knew that he was very ill. One evening a brother came and told me: “The Master wants to see you“. I immediately ran to him and as soon as I got in I asked him: “Master, has something happened with my father?“ “You will see“ – he replied calmly. I asked him once again: “Master, tell me what has happened to my father, is there a letter?“ He just repeated: “You’ll see!“ And as I was sitting just opposite of him on the chair, I saw above the Master a hospital bed, and on it, my father was lying, then he slightly turned his head towards me, looked at me and as if he smiled a little. I cried: “He’s alive, he’s alive!“ “Who is alive“ – asked me the Master. “My father is alive!“ The master looked at me: “I told you – you will see“. My father got well and lived for many years after that. The Master was visiting a sister, whose son was not in the Brother¬hood. The son was returning from the city and he was holding a cigarette. When she got out to meet him, the sister told him not to smoke, for the Master was in the house. But the Master turned to the mother and asked her: “Don’t be angry with him, let him smoke, he’s my friend“, he took out a pack of cigarettes and gave it to the son. The Master supported the thesis that everybody was free to make his own choice, to reach an idea alone, without being forced to accept it. At the time when the Jews were being persecuted and the deportation of some of them has started, the Master called brother Lulchev and ordered him: “You’ll go to the King and tell him that not a single Jew should be deported from Bulgaria!“ Brother Lulchev went to the palace to try to find the king, but no one knew where he was. He returned to the Master and explained that he was not able to find the King. The Master insisted: “You will go to the king and tell him what I’ve commanded you“. Brother Lulchev went to try to talk to the King for a second time, but once again no one told him where the King was. Again he returned to the Master and said that he was once again not able to find the King. The Master entered the downstairs room, stayed there for five minutes, then got out again and said: “Go to Krichim!“ Brother Lulchev went there and indeed it was where the King was. The king was really surprised to be discovered. Lulchev told him that the Master has sent him to deliver the message that no Jews are deported from Bulgaria.